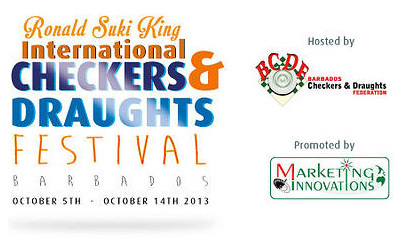 The Ronald Suki King International Checkers and Draughts Festival was held in Barbados at the Sir Garfield Sobers Gymnasium, October 5th to 14th, 2013. You can see results and photos HERE. These events was open to Masters, Males, Females and Children. You can view information about this event at special Festival website sukifest.com.